In a saucepan, combine the sugar, cornstarch, vinegar and water. Bring to a boil, and cook for 5 minute. Add the beets to the liquid, and simmer for 30 minutes over low heat. Stir in butter, salt and pepper and remove from the heat. Serve warm or chilled. 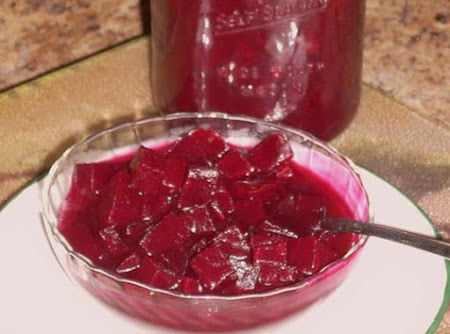 No comments for: "Grandma's Harvard Beets Recipe"